The SAFER Grant Program provides funding directly to fire departments and national, state, local, or tribal organizations representing the interests of volunteer firefighters to assist them in increasing the number of firefighters to help fire departments meet industry minimum standards and attain 24-hour staffing to protect communities from fire and fire related hazards, and to fulfill traditional missions of fire departments. The goal of the SAFER Grant Program is to assist local fire departments with staffing and deployment capabilities in order to respond to emergencies, and assure that communities have adequate protection from fire and fire-related hazards. SAFER intends to improve or restore local fire departments staffing and deployment capabilities so they may more effectively and safely respond to emergencies. With enhanced or restored staffing levels, grantees should see a reduction in response times and an increase in the number of trained personnel assembled at the incident scene. Previous awards are available at: https://www.fema.gov/staffing-adequate-fire-emergency-response-grants-grantee-award-year-2016. Management and Administrative (M&A) costs. Salary and benefits for firefighters. 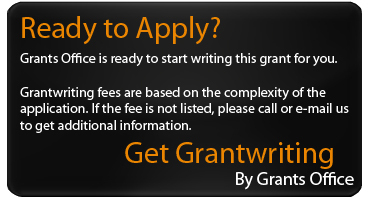 Retroactive payments or recognition for operational services rendered prior to the grant award are ineligible. Costs incurred outside of the period of performance except for grant writer fees. Fire simulators, fire evolution, or fire training props (e.g. burn trailers, forcible entry, rescue/smoke maze, flashover simulators). Sirens, warning lights for private vehicles, or other outdoor warning devices. Communication equipment including cell phones, pagers, portable radios, or Computer-Aided Dispatch (CAD) systems. Retroactive payments or recognition for non-operational activities (including payments, gift cards, recruitment bonuses, or stipends for recruiting firefighters). Payments for travel to, or participation in leisure or social activities such as theatre tickets, entertainment tickets, and trips (e.g. professional sporting events). Costs associated with award banquets, such as food, photographers, refreshments, entertainment, or rental facilities. Reimbursement for actual awards (e.g. plaques and trophies) is eligible. Costs for food or refreshments that are not part of a conference or training hosted by the grant recipient. Costs for training currently covered under the departments operating budget, e.g. tuition or instructor fees for department-mandated, basic-level training. Furniture (except for newly converted bunkrooms), televisions, fixtures, appliances (e.g. refrigerators), and entertainment equipment. œGiveaways, such as pencils, pens, t-shirts, cups, mugs, or balloons, for recruitment events. Fees for courses and training that are available free of charge on the internet or at a state/local training facilities (e.g. NIMS 100, 700, 800). Annual medical exams for existing members. Copiers/printers. Additional ineligible costs for Explorer/Cadet/Mentoring Programs. Applications are to be submitted by January 18, 2019. A similar deadline is anticipated annually. Up to $345,000,000 is available in total funding. 300 awards are expected to be made. In the first year of the grant, 75% of the usual annual cost of a first-year firefighter in that department. Recipients must contribute 25% of actual costs. In the second year of the grant, 75% of the usual annual cost of a first-year firefighter in that department. Recipients must contribute 25% of actual costs. In the third year of the grant, 35% of the usual annual cost of a first-year firefighter in that department. Recipients must contribute 65% of actual costs. Retention and Recruitment of Volunteer Firefighters - Projects will last between 12 and 48 months. Cost sharing/matching is not required. Usual annual costs includes the base salary (exclusive of overtime) and standard benefits package (including the average health cost, dental, vision, FICA, life insurance, retirement/pension, etc.) offered by fire departments to first-year firefighters.